Though Korg has been around since the swingin’ '60s, it was slow to achieve the level of fame it enjoys today. Initially founded to produce a drum machine, Korg’s first synthesizers would come during the craze to cash in on the demand for pre-patched performance instruments. The MiniKorg-700 was the first in a long line of Korg analogue instruments - a line that is still going strong today. Released in 1972, the MiniKorg was an unusual instrument. Its relatively small number of controls were tucked below the keyboard, while a music stand was mounted to the flat top panel. Performance controls were nonexistent. The 700 had no mod wheel, pitch lever or joystick - just the truncated 37-note keyboard. The subsequent 700s sported a handful of left-hand sliders and knobs for adjustment of its built-in effects. Though you’d be hard pressed to tell from such available parameters as Traveler, Scale and Mode, the 700’s smattering of knobs and sliders controlled a respectable - if spartan - analogue signal path. The initial MiniKorg offered a single oscillator, while the improved 700s provided a pair. Sawtooth, triangle and square waves fuelled the beastie’s bark, while both low- and high-pass filters could be used to tame its tooth. A single envelope generator was governed by a pair of sliders labelled ‘Attack/Slow’ and ‘Percussion/Singing’. 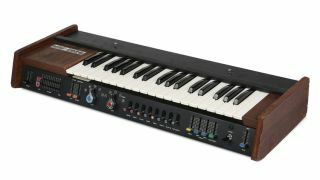 Portamento and vibrato were offered on the MiniKorg 700, as were a pair of chorus effects. The 700s upped the ante with three varieties of ring modulation. All in all, it’s a decent complement of tweakable controls, if a bit oblique by today’s standards. Offered at a bargain price of £350, the MiniKorg was too expensive for mere hobbyists, but its limited controls made it less appealing to pros than the Minimoogs and Odysseys that took centre stage with the moneyed rock stars of the era. Nevertheless, enough did so that the MiniKorg’s voice was heard by the millions of listeners that tuned into Top Forty radio, thanks to a new wave of rock groups such as The Cars, whose keyboardist Greg Hawkes illuminated some of the group’s biggest hits with crafty MiniKorg solos. The MiniKorg’s low price and ease of use made it popular with English electronic upstarts like The Normal and The Human League, both of whom made the most of its upfront sound. Conversely, it was also embraced by maestro of mellow music, Kitaro, who was still using the thing decades after he could afford more illustrious instruments. As with much of Korg’s early catalogue, the MiniKorg was initially distributed in American markets under the Univox brand, so would-be collectors should be on the lookout for both. The MiniKorg is, as yet, still to be officially reissued in either virtual or concrete forms. Yet its simple sound is not terribly difficult to reproduce, so one could quite easily make do with any number of the free or inexpensive virtual alternatives that do exist. An interesting and unusual synth, the MiniKorg is still waiting to be reintroduced into the modern era. An impeccable sampling of oddball instruments, The Attic includes a pile of samples from the MiniKorg rolled into an included Kontakt Player instrument. Along with the 700, you get all manner of old string machines and other assorted synths and noisemakers. 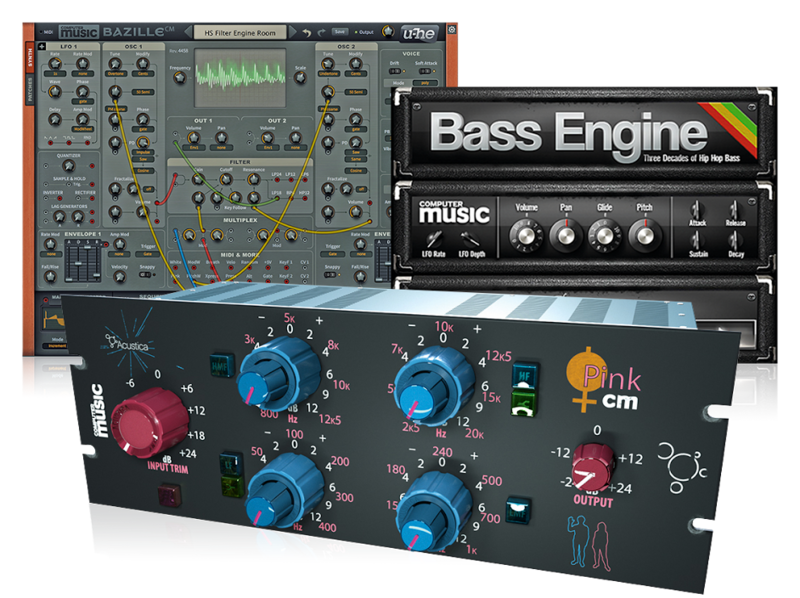 Comprises more than 1,200 samples from an original MiniKorg-700 presented as Ableton Live Racks, Logic ESX Channel Strips and Kontakt instruments. A custom interface is included for the latter, and the Logic version offers key-based waveform switching, velocity control over brightness and mod wheel influence over filters. For some unfathomable reason, Korg has yet to see fit to include a virtual MiniKorg in its Legacy collection. Of course, you can get Korg’s classic analogue sound from a wide variety of other instruments that they’ve modelled. The Mono/Poly might be overkill for creating MiniKorg sounds, but it can, of course, come as close as any.